Hails from Osi, Ekiti Local Government Area of Kwara State, he was born on the 14th day of February, 1980 to the family of Hon. Justice and Mrs Akoja. He had his primary education at St. Mary’s Primary School, Lokoja, and at Ehindudu L.G.E.A. School, Okene, Kogi State between 1985 to 1991. He then proceeded to Government Secondary School (GSS) Ilorin, Kwara State for his secondary education between 1991 and 1997. He furthered his education by obtaining his Advanced Level Certificate from Ahmadu Bello University, Zaria in Kwara State Polytechnic, Ilorin, Kwara State in 1998. He was admitted to study law at the Faculty of Law, University of Ilorin, Kwara State, from 1998-2003 where he obtained his LLB. He proceeded on his compulsory one year National Youth Service Corps in 2004 where he served as Pupil State Counsel in the department of Public Prosecution under the Ministry of Justice, Birni-Kebbi, Kebbi State. During his service year, he also joined the NYSC State Football Team where he participated in major leagues within and outside Kebbi State in 2004. He commenced his legal practice in the Law Firm of John Olushola Baiyeshea (SAN) & Co. (Quo Vadis Chambers) where he worked as an Associate of the Firm from 2005 to 2007. He thereafter left to join the firm of Messrs Yusuf O. Ali & Co; (Ghalib Chambers) where he has since been practising in their Abuja branch office. He has worked especially in the Litigation Section of the office with a daily record of advocacy in different courts in various States ranging from the Supreme Court, Court of Appeal ( Ilorin, Abuja, Kaduna, Jos , Benin and Lagos Divisions), Federal High Courts, High Courts of different States, National Industrial Court, Election Petition Tribunals, Securities and Investment Tribunal, Census Tribunal, Immigration Tribunal, Magistrate Courts, Area Courts, Customary Court of Appeal and a host of other mobile Tribunals. He also supervises the Corporate Legal Affairs of the Firm at the Corporate Affairs Commission and other Corporate Organisations. 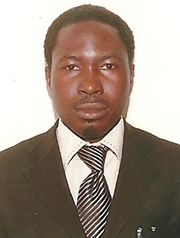 Apart from the several court appearances as Defence Counsel, he has also prosecuted criminal matters on behalf of Security Agencies such as; The Nigeria Police Force, Independent Corrupt Practices and other Related Offences Commission, The Economic and Financial Crimes Commission (EFCC), Abuja and the Federal Ministry of Justice. He has participated in the co-ordination of Civil and General Legal Drafting and also various aspect of Legal and Solicitorship Practices. Soccer, domestic electronics and mechanical repairs and driving. Nigerian Bar Association, Ilorin and Abuja. GSS ILORIN, 1997 Old Boys Association, Ilorin, Kwara State.